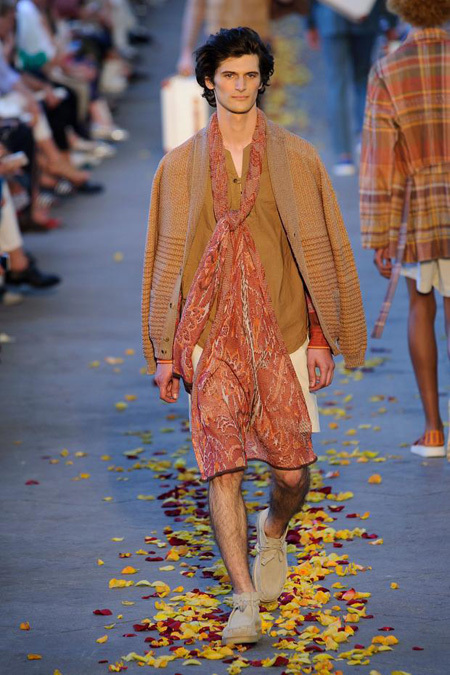 Delavé linens, cotton crêpes, cottons dyed in natural indigo, and summer wools have been artfully woven and knitted in symbolic, powdery pigments—indigo, emerald, Jodhpur blue, jasper and vermillion underscored by amethyst, turmeric and marigold—establishing a harmonious fusion that venerates Indian textile and pattern work and conjures up imagery of sacred rituals, bustling markets, lush fields, amber deserts and drawn-out sunsets. 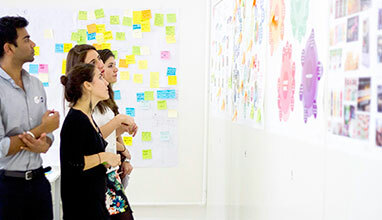 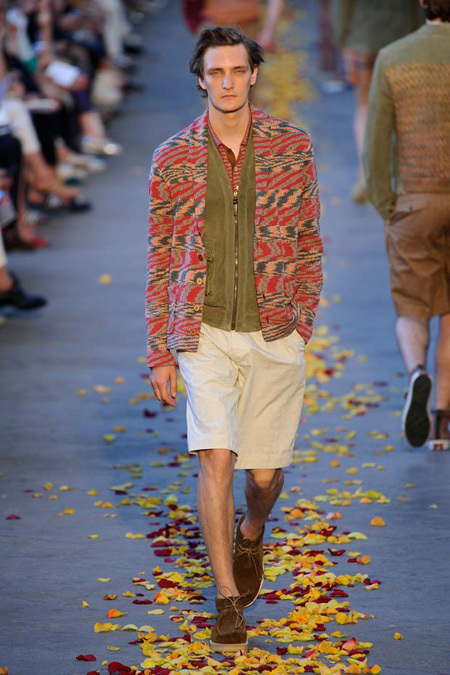 This collection focuses on the interweaving of Western functionalism with Eastern adornment and craft. 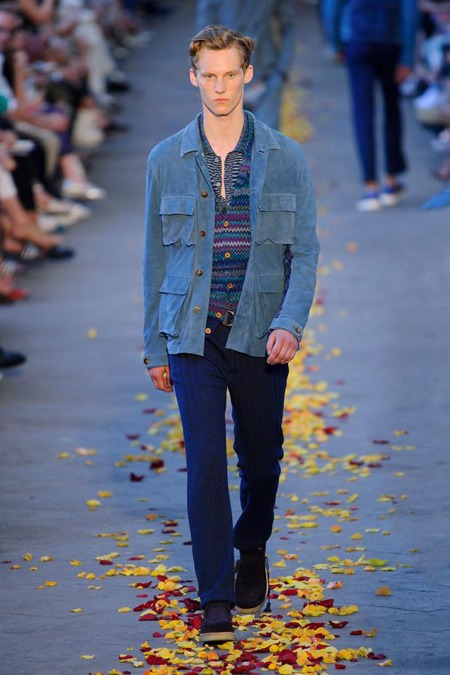 Inspired by the antique, indigo-dying techniques of Jodhpur, Missoni has created an unorthodox denim-like fabric that beautifully ages with wear. 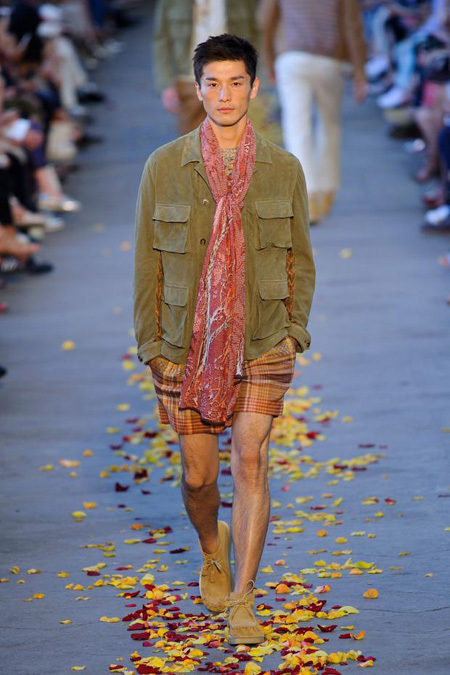 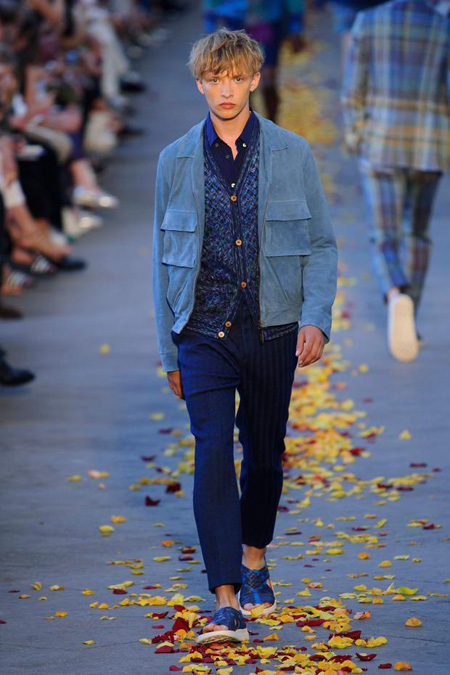 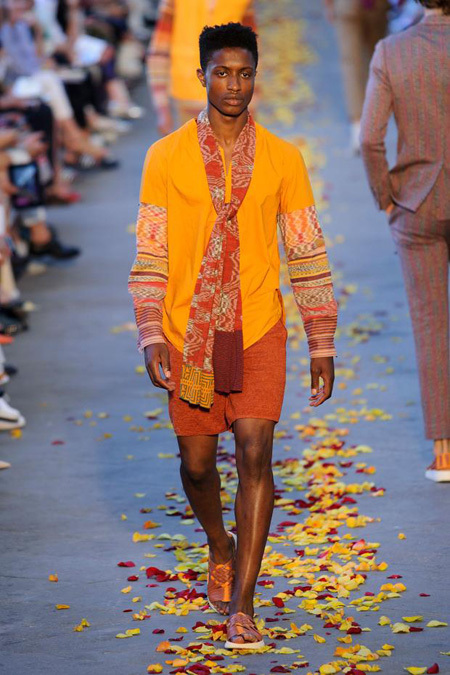 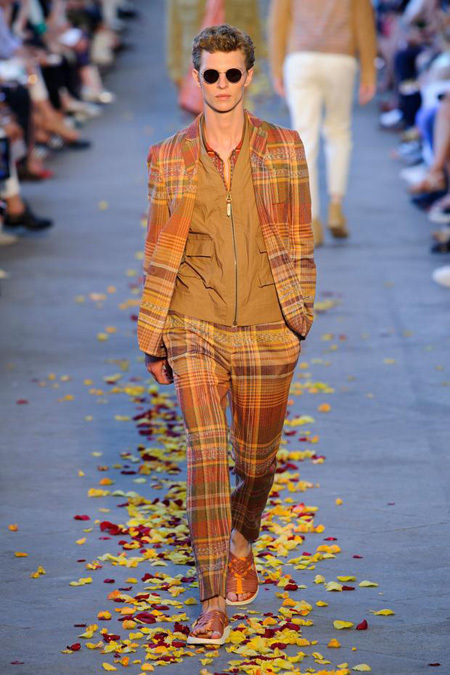 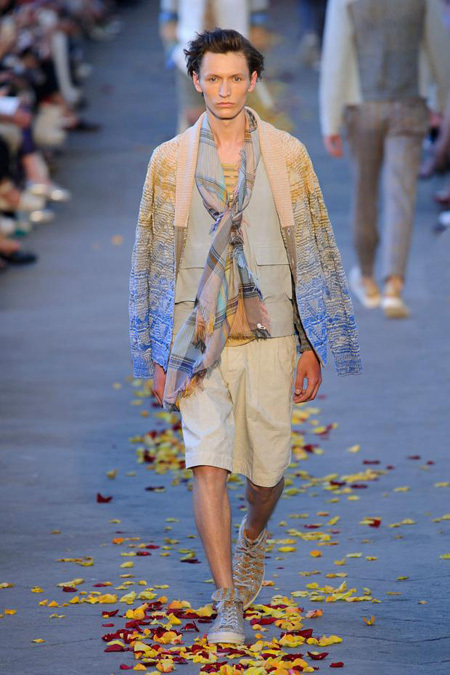 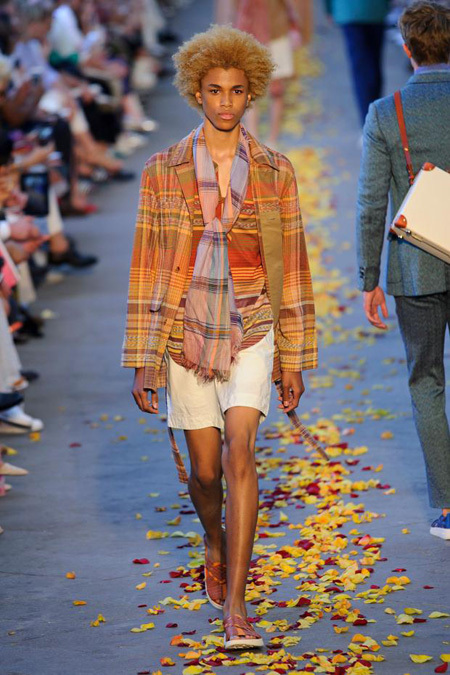 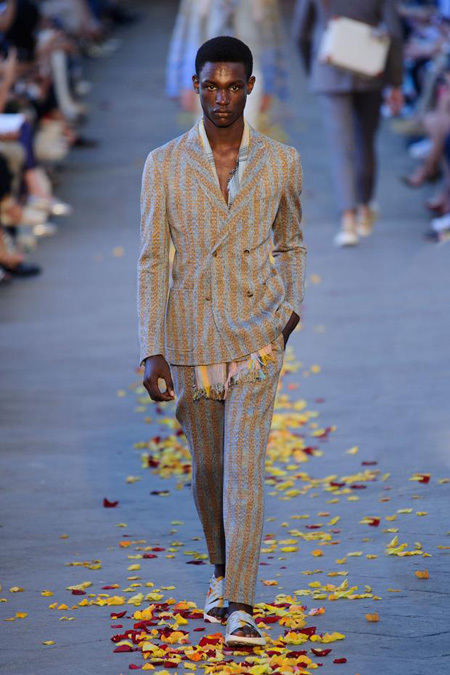 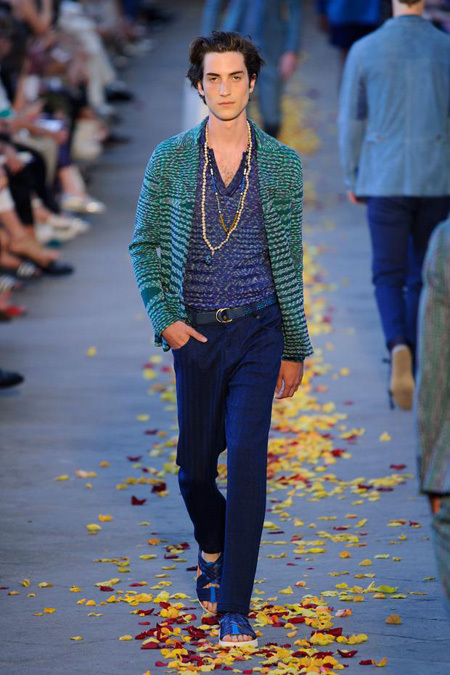 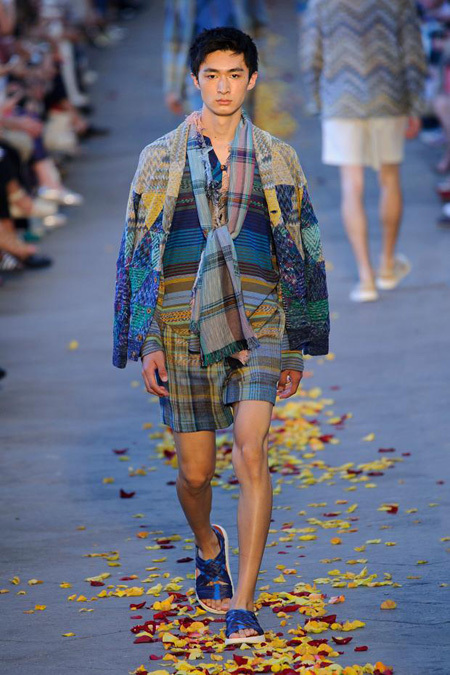 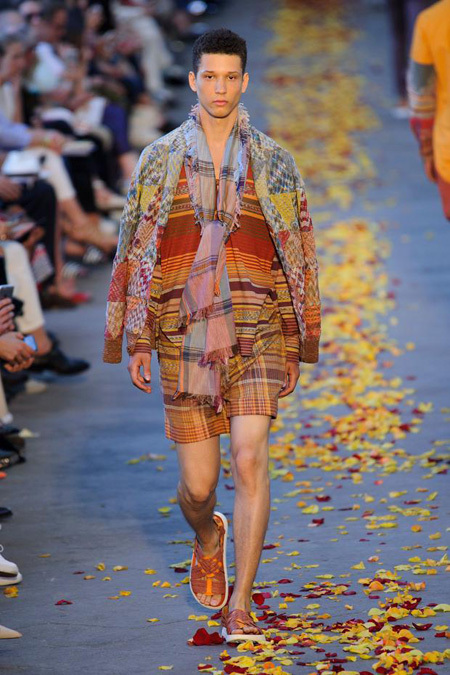 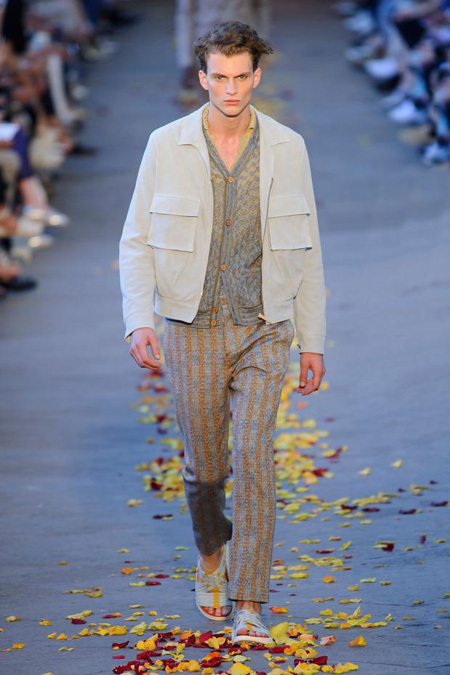 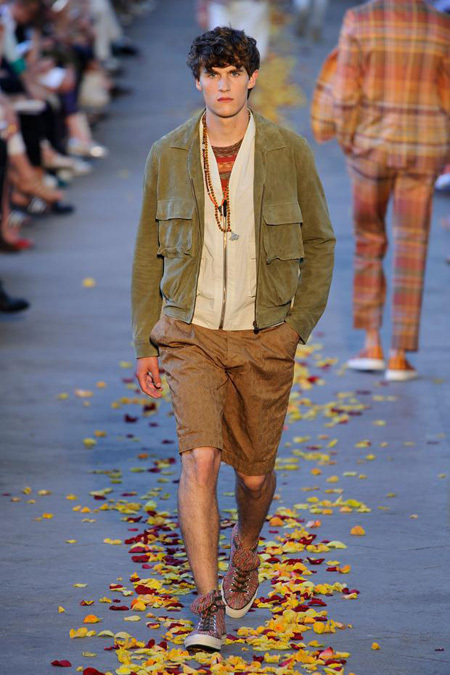 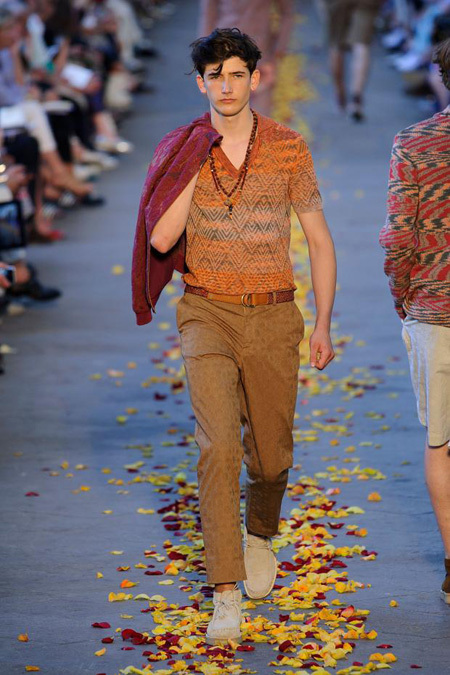 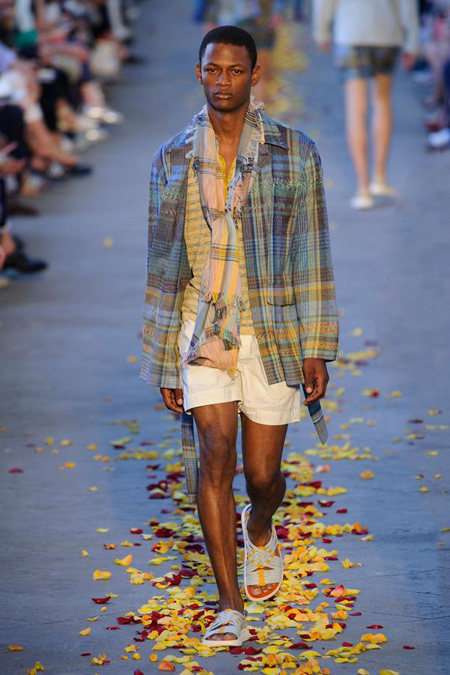 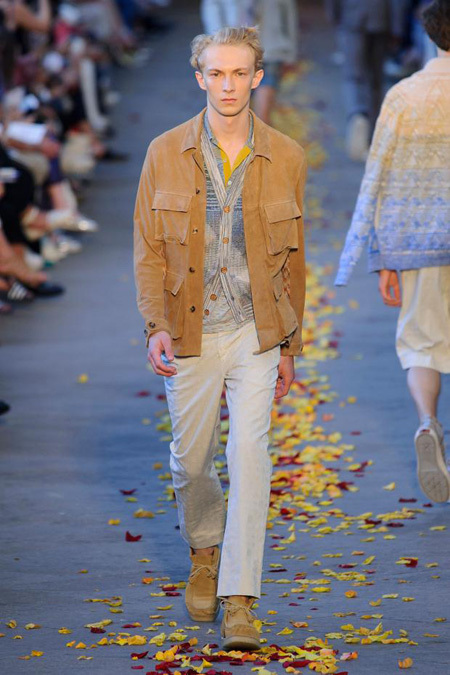 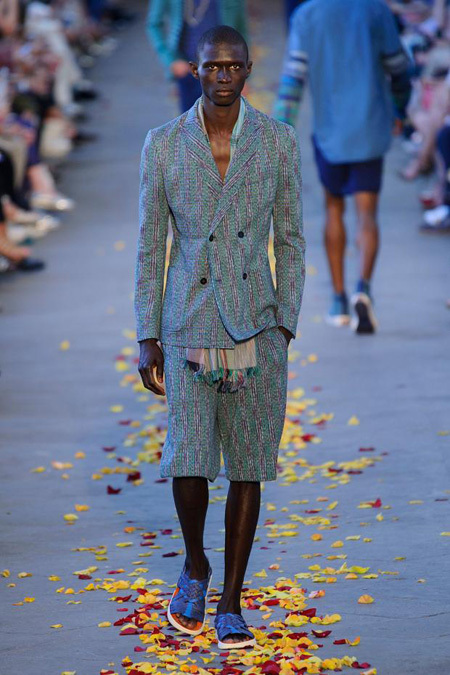 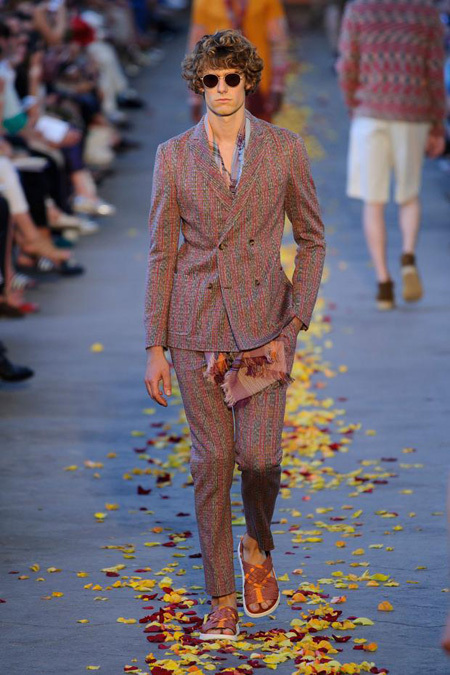 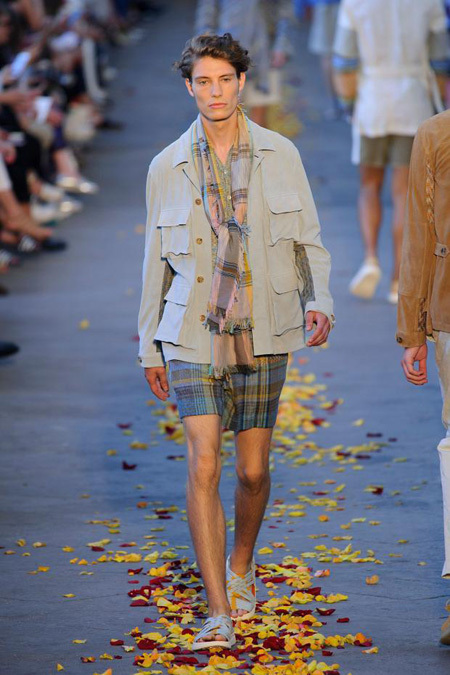 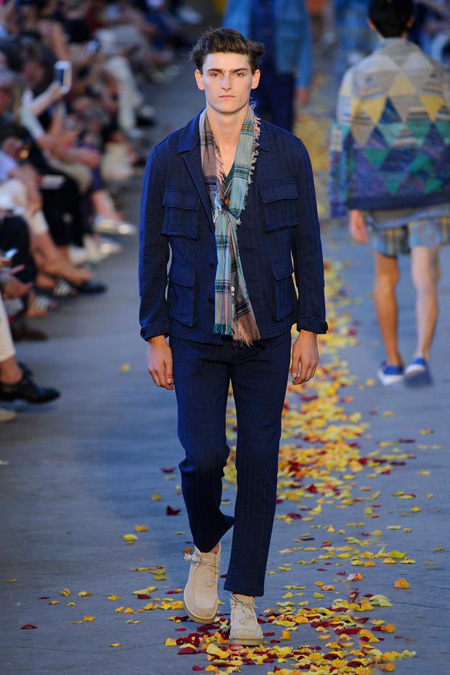 The multicolored, irregular-checked Madras, originating in modern-day Chennai and conventionally used for fishermen’s loincloths, has been reinterpreted by Missoni. 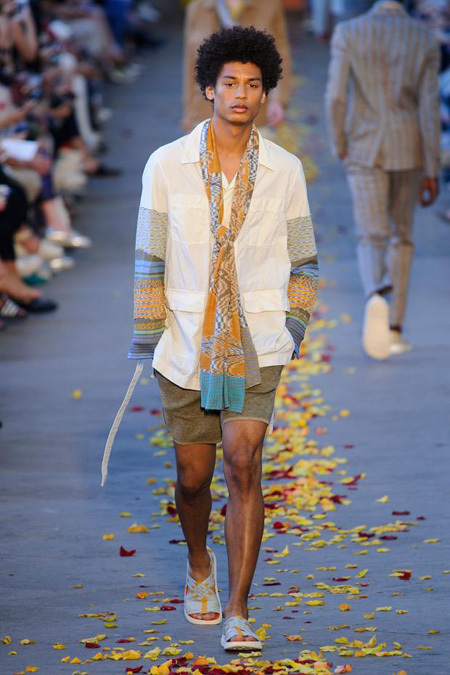 Customary Gujarati weaving methods have induced this season’s use of ikat-inspired patterns that imaginatively recall the colonial, regatta stripe. 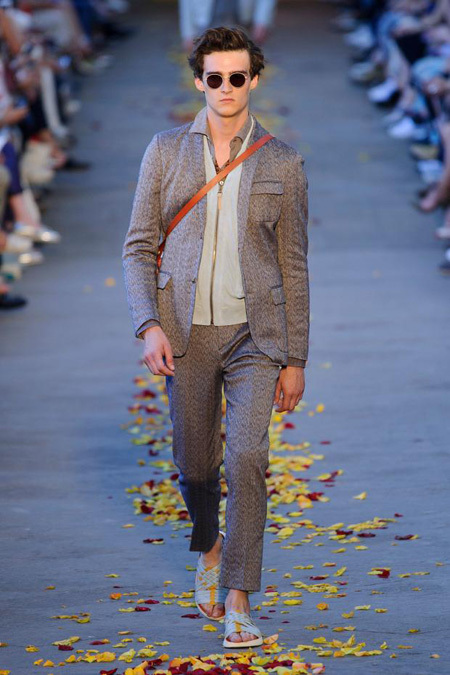 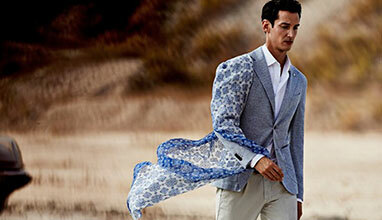 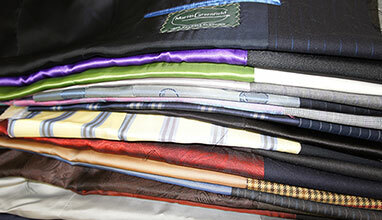 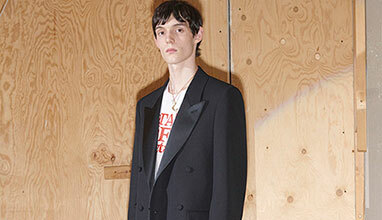 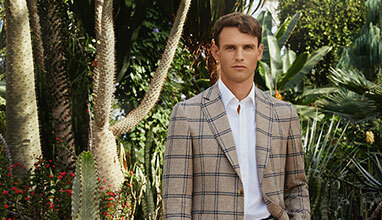 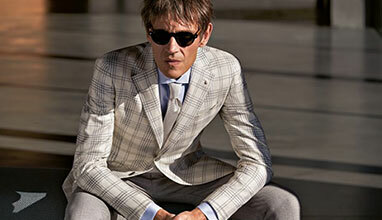 These old-world techniques have been masterfully reworked and elaborated on Missoni’s heritage looms in Sumirago and have taken form in a four-pocket field jacket with patchwork sleeve inserts, a fivepocket, Missoni jean, a military-inspired short, a two-piece suit, a doublebreasted blazer, a pyjama pant and a mirror-work, embroidered tunic. 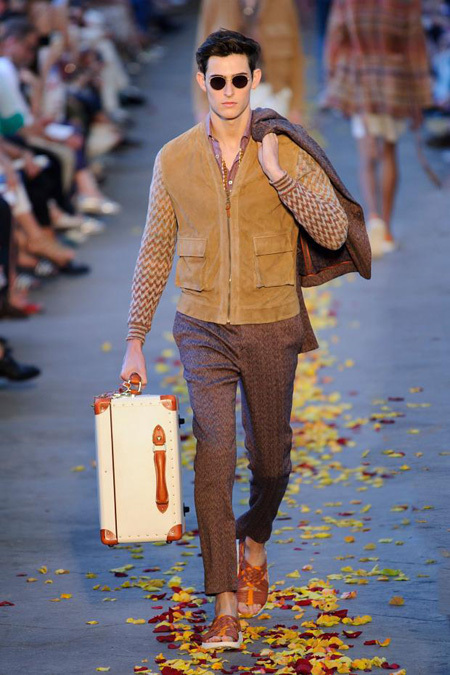 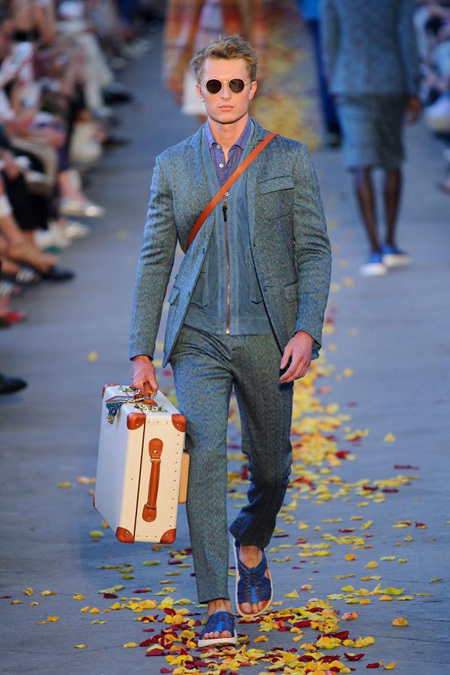 This season commemorates Missoni’s first collaboration with the historic luggage maker, Globe-Trotter, which has produced a limited-edition series of artisanal luggage pieces— mini utility case, trolley case and extra-deep suitcase—that have been outfitted in Missoni’s specially-designed, macro knits. 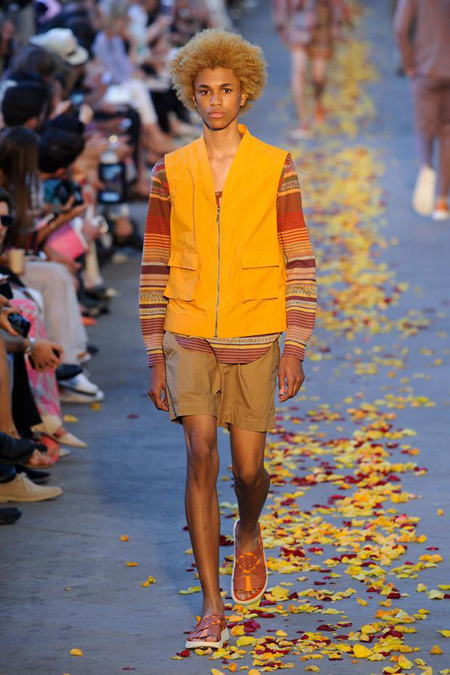 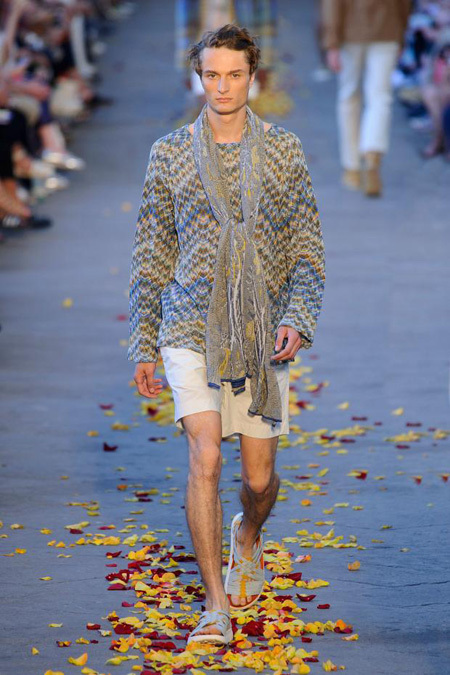 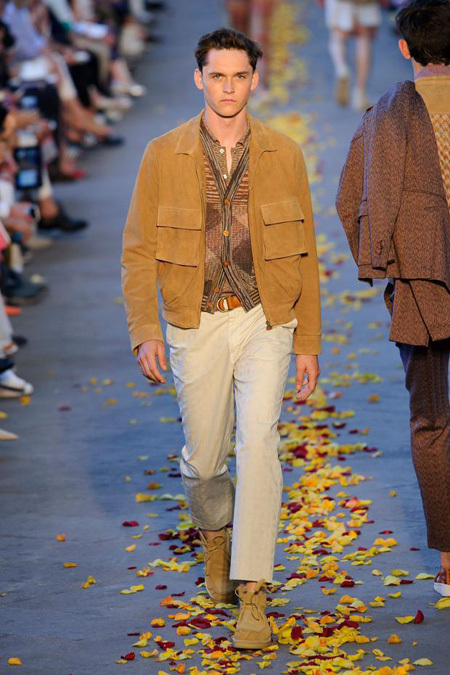 Southern California footwear maker, Malibu Sandals, has created two ethnic-inspired, hand-woven sandals in eco-friendly materials that perfectly complete the looks proposed in this season’s main collection as well as Missoni Men’s first, stand-alone swimwear collection. 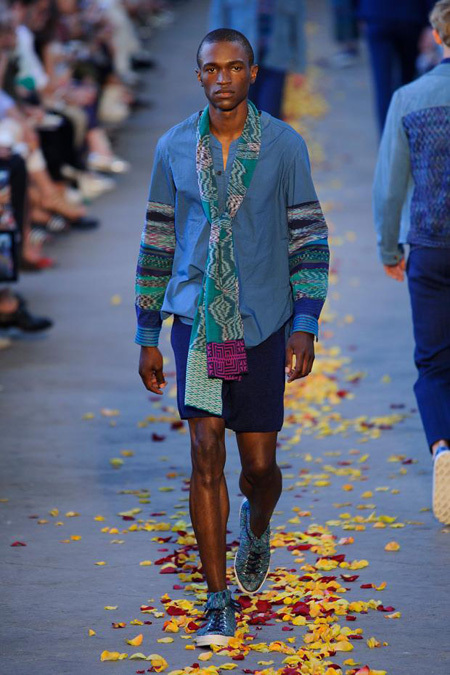 An ongoing collaboration with Converse has yielded a revamped version of their All Star Chuck ’70 using a vibrant, space-dyed, mesh knit which is both breathable and conducive to dynamic exploration.